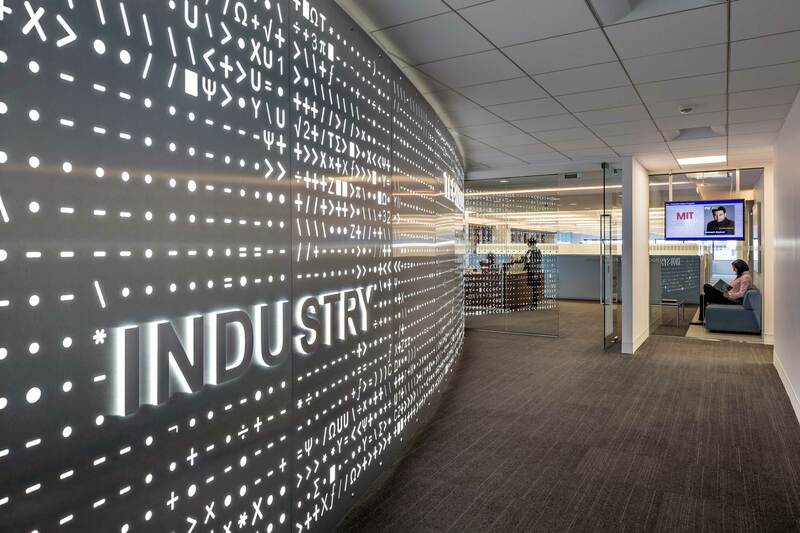 The MIT/Industrial Liaison Program (ILP) promotes collaboration between MIT and industry, encouraging the flow of information, resources, and faculty between the Institute and innovation-driven companies for their mutual benefit. 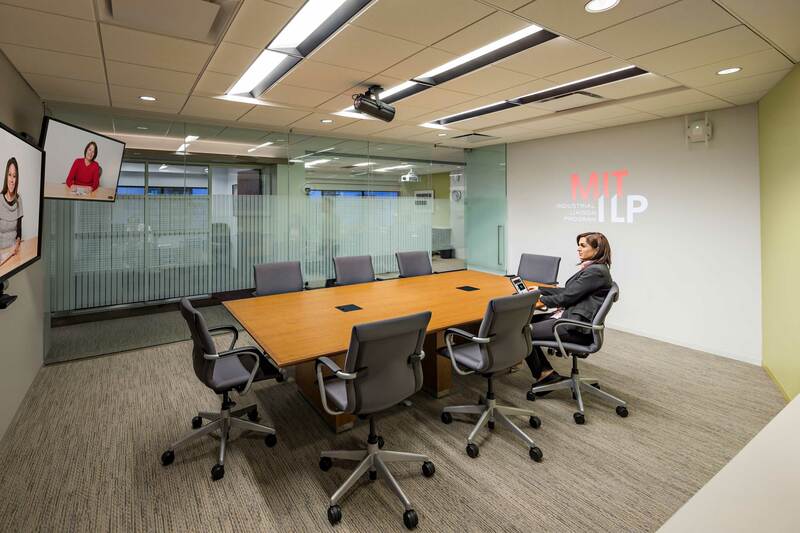 MIT/ILP sought a space to bring global intellectual resources together in a technologically sophisticated environment (computing, A/V, and teleconferencing facilities) to promote collaboration between MIT faculty and ILP corporate clients. 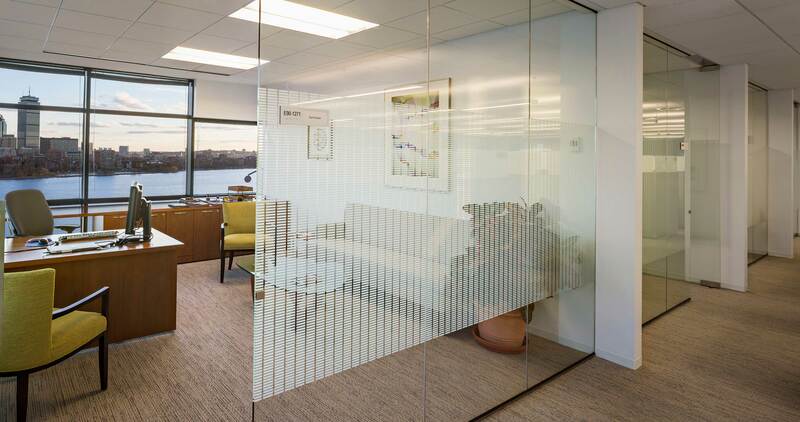 Located adjacent to the main campus, the solution was to connect ILP to the MIT community and its resources. 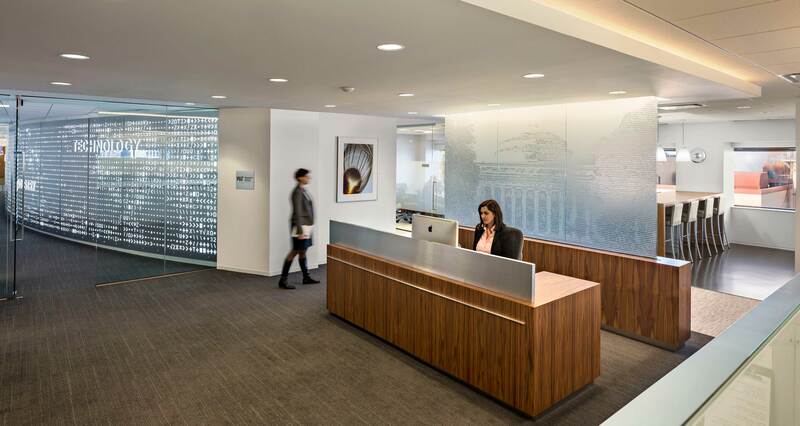 As many of their clients are international visitors, the “arrival experience” needed to relate the location back to the excitement that working with MIT would bring. 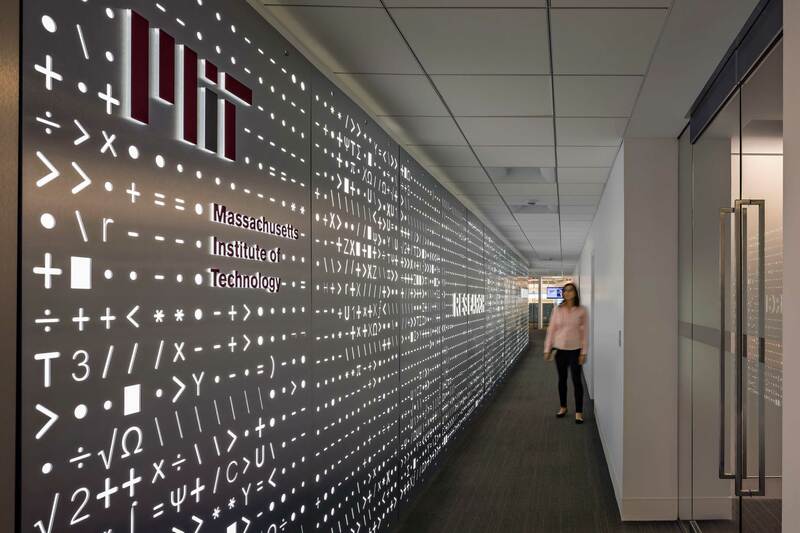 At the Lobby area on the 12th Floor, visitors are drawn in along a back-lit feature wall, designed as an abstract statement about the depth of the intellectual environment at MIT. 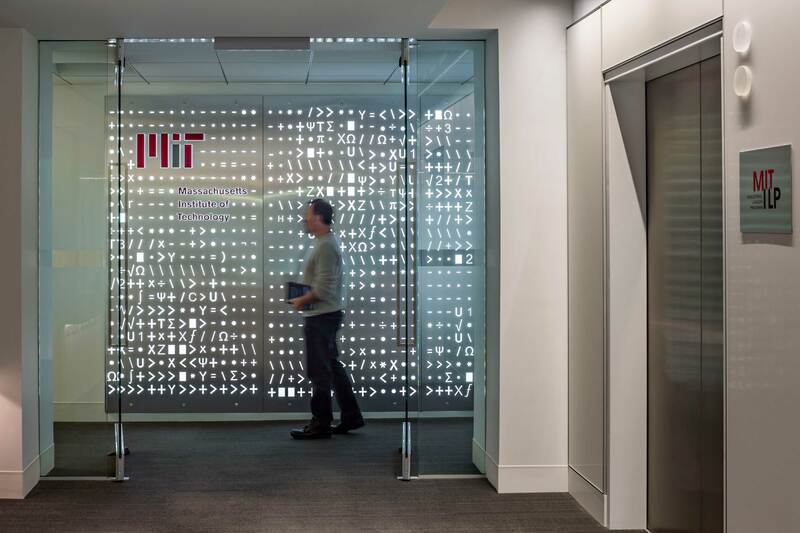 The wall ushers them down a corridor to a reception area opening to the river with views back to the MIT campus. The path of travel emphasizes MIT / ILP’s mission statement in symbols and typography. 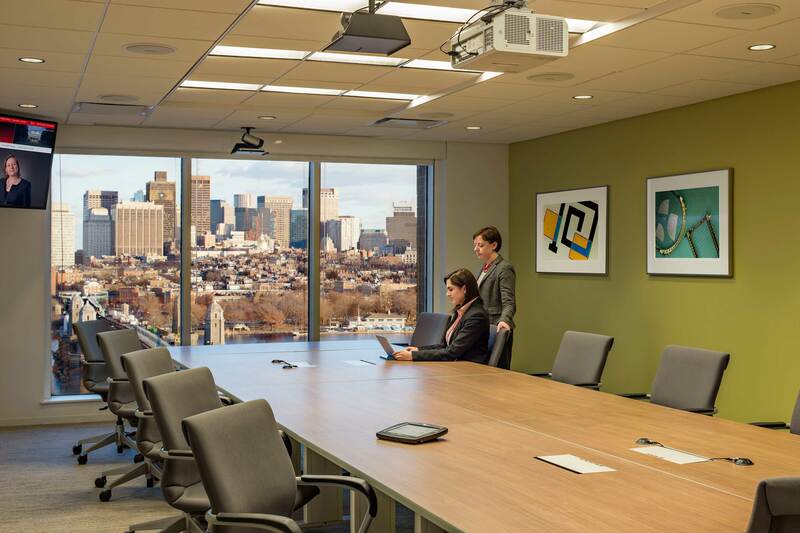 The arrival at the reception area is open and bright, taking full advantage of the best views of the Boston and Cambridge skyline.